There are situations wherein most restoration contractors simply aren't prepared - whether it's a lack of equipment or training - to deal with severe weather damage on a large scale. We also know and understand how your buildings are precious investments; we will make sure to thoroughly restore and repair them to the best of our ability. When you get into contact with us at Best Cleaning and Disaster Restoration Services, you're providing your property the best quality of love and care there is. 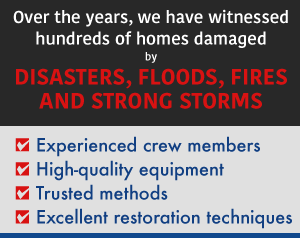 We have certified and highly-trained specialists that are armed with the tools and the knowledge to restore your property; and when they're done, it will be as if the disaster never happened in the first place. Keeping your home free from moisture and humidity is a challenge that not many restoration companies can achieve. Here at Best CDRS, we can make sure that your property is high and dry with our superior techniques for water damage restoration, fixing the root cause so that your property need not experience more damage. Size is not an issue, as our fire damage restoration team aims to conquer all your fire-related woes with ease. We're always ready to provide a helping hand in removing burnt valuables from the premises, and we'll clean up and keep them safe from further smoke and soot damage. Though highly unpredictable, storm damage won't keep us from bringing your home back to its pristine state. Leave it to us, because when we choose to do storm restoration services, we'll make sure that your property and the surrounding area is free from debris such as fallen trees and the like, so we can make the premises safe to live in once more. More often than not, how a person responds to an emergency is part of the initial mitigation phase, and we at Best Cleaning and Disaster Restoration Services can respond and deliver all the equipment you need precisely when you need it. By operating in this manner, we can prevent risky logistical delays and prevent additional costs for your wallet. 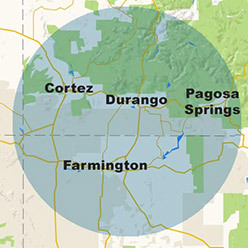 We service all of the Four Corners Region and the surrounding area, so don't hesitate to call 970-235-9151 right away. We will gladly help out with mold remediation, storm damage, fire damage restoration, water damage restoration, biohazard cleanup and many more. If you have any more questions, don't hesitate to view our contact page.